Love luxury beauty brands? 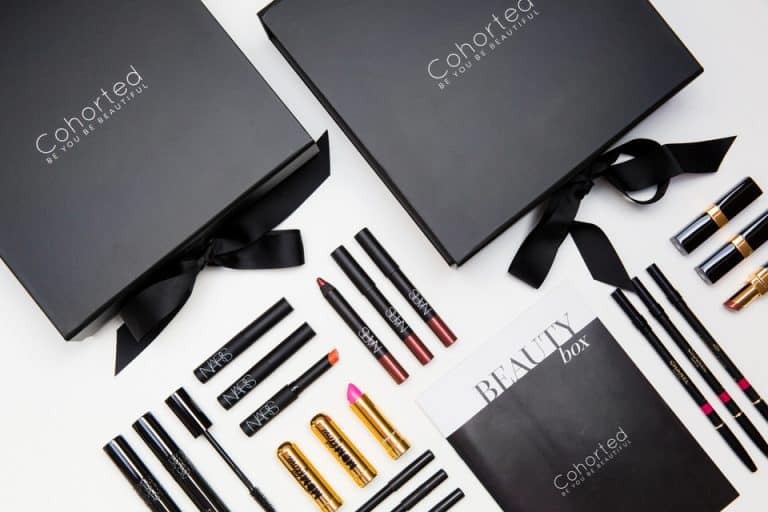 You’ll want to check out Cohorted which is a monthly beauty box with a difference as it features only high-end and luxury brands. 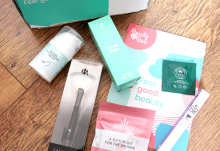 It’s this reason why the box is more expensive than other beauty boxes on the market at £35 per month, but the overall value of the contents is always much higher and previous boxes have regularly been worth over £100 which is a bit of a beauty bargain in my eyes! Worth £42 on its own, the star of December’s Cohorted box is without a doubt this amazing Anastasia Beverly Hills Contour Cream Kit. It comes in the Medium colourway which features six shades for highlighting, contouring and colour correcting, plus the pink can be used a cream blusher as well. 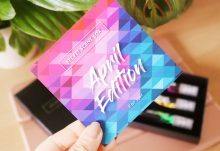 The formulas are very pigmented and they deliver a precise and professional look – I can see why so many makeup artists are obsessed with this brand! 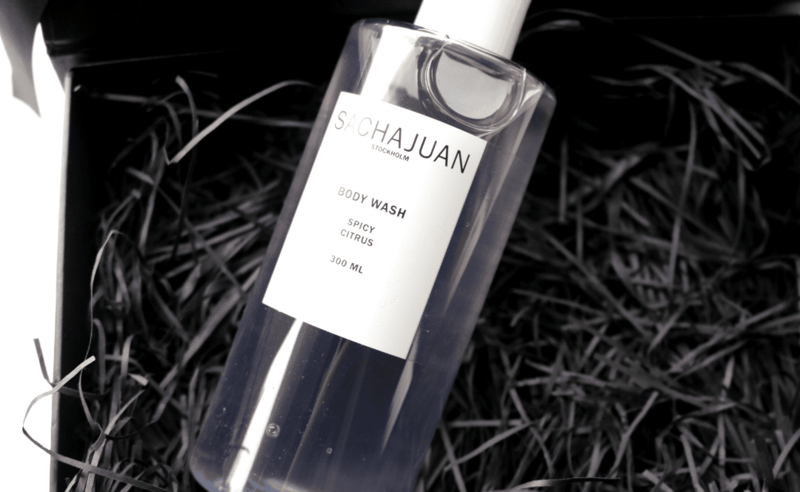 Next up, I found another full-size product, this time from luxe brand Sachajuan which is stocked in Net-A-Porter, FeelUnique and Sephora. Their Spicy Citrus Body Wash is a bestseller and it’s perfect for this time of the year as it feels very festive and Christmassy! There’s also a strong scent of Jasmine which I love so I’m looking forward to treating myself to a pamper with it this weekend. I was thrilled to see some Chanel in the box until I realised that this brow pencil is for Blondes and my hair is a dark brown, so I’ll be passing this onto a friend who I know will love it. The pencil is double ended so one side has a waterproof slanted solid pencil to fill in brows, and the other side has a spoolie for a perfectly groomed finish. I’ve been wanting to try out some makeup from Cover FX for a while now and this Perfect Pencil is a great example of how good this brand is. It’s an incredibly versatile, award-winning product that can be used to define the lip line and brow arches, brighten up the waterline of your eyes and conceal imperfections all in one. The shade N-Light is perfect for all of these tasks if you have a light-medium skin tone, so it’s a must-have in your makeup bag. Lastly, there’s a luxe travel size of Too Faced’s bestselling LA Creme Colour Drenched Lip Cream. 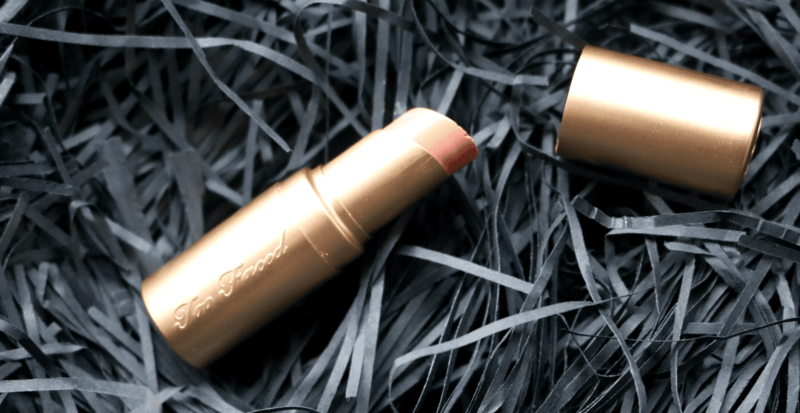 I’m a huge fan of Too Faced and this lipstick is absolutely gorgeous! I love the moisturising formula which is so handy for winter when my lips feel drier than usual, and this shade Naked Dolly is a gorgeous everyday pink that’s very easy to wear. A new favourite for sure! 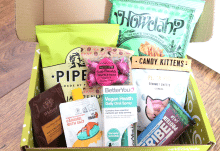 This month's Cohorted box is worth £120 and it's one of my favourite from them this year! How would you rate Cohorted ?